Scandinavian interior design is a huge trend in the modern day, but it is not always as easy to capture. 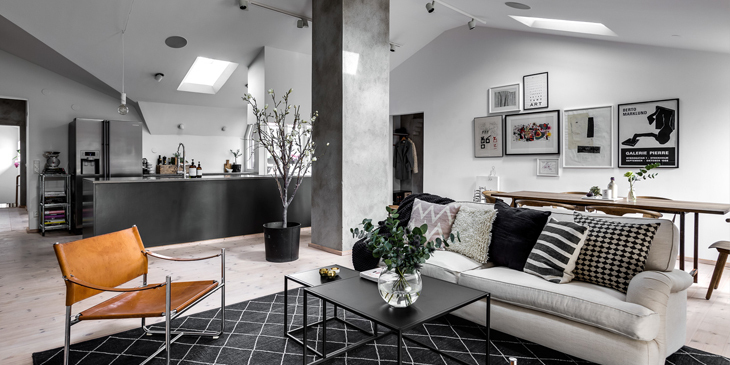 With the tips and inspiration you will find in this blog post you will, however, have no trouble capturing the Scandinavian spirit in your own interior design. The Scandinavian decorating style is marked by a sober, authentic and minimalistic approach. This is balanced out by comfort and functionality, which are highly valued qualities among the Scandinavians. Something that stands out especially in Scandinavian design is the attention to details, the simplicity and tight, smooth lines. On the whole the style appears very calm, and it excels with its eye for detail and eye-catching accessories. As long as the whole remains seemingly calm, there are no limits to the accessories you can add to this style. Brightly coloured pillows with busy graphics on them or even a very eye-catching rug: the Scandinavians will not mind! No other decorating trend is inspired on so specific an area as the Scandinavian style. And they should be proud! The authentic charm of this style can be seen especially often in Copenhagen and Stockholm. In these cities old buildings are being renovated often and the authentic older elements are preserved rigorously. Think of old fireplaces, original floors and high ceilings with unique ornaments. 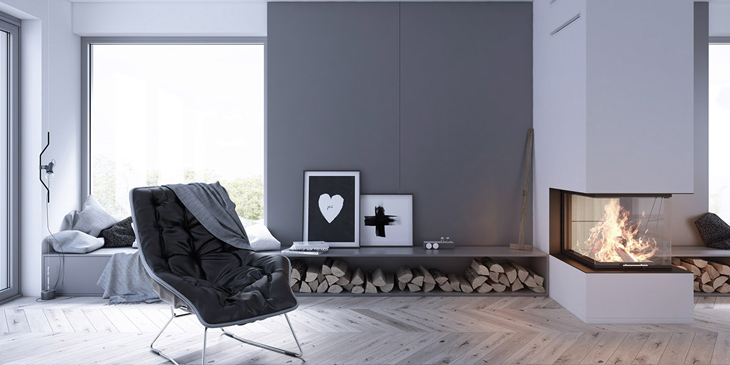 A lovely herringbone parquet or an open fireplace is practically essential to truly capture the Scandinavian feel in your home. A boring Scandinavian interior? I didn’t think so! Especially by using the right accessories, Scandinavian style really pops. 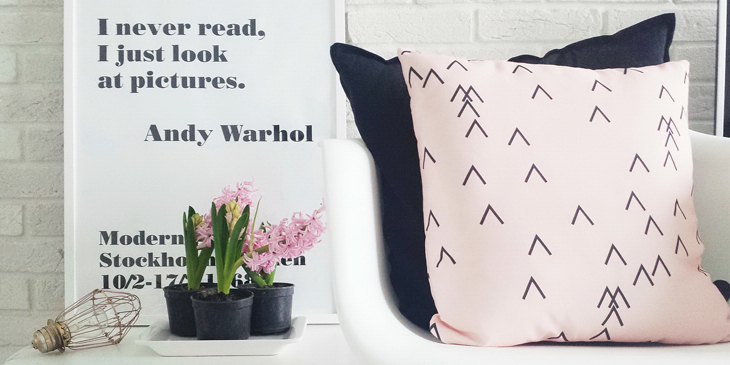 Wild and busy graphic prints in various colours, cheerful pink or minty green on an easy-going couch, it all goes with this style. That is the appeal of using this calm and minimalist basis in the Scandinavian trend; it combines well with almost any colour. But, the colours you see the most often are pink, mint green, copper, and other pastel colours. If there are any people who understand warm and winterproof interiors then it must be the Scandinavians! Sheepskins are no longer exclusively for use on the floor, but can also be found on many couches and chairs. Delightfully soft to the touch and wonderful to look at! Everything in this style is allowed to be warm and cosy. Think of thick rugs and fluffy plaids and pillows. The bigger, the better! What could be more comfortable than a wonderfully soft and warm rug in your home? No need to say more. Graphic prints are hot! They initially came often in very loud black-and-white texts, but this year we are seeing graphic prints with calmer overtones. Many display faces, people, or even cool graphic art displayed on beautiful posters. 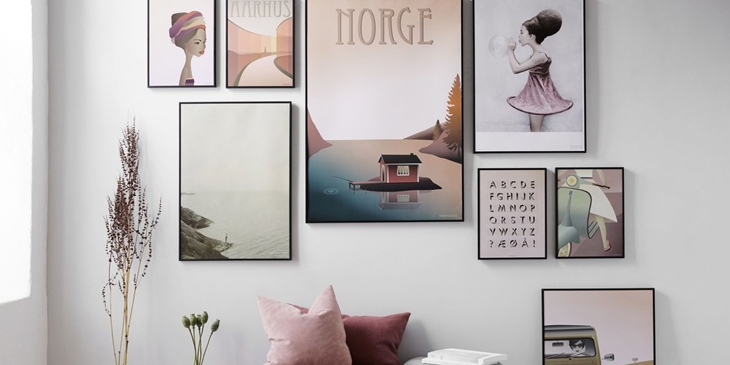 Multiple posters or drawings in neat frames on the wall make sure that, in no time, you will have transformed your wall into the true Scandinavian style. Furthermore, we see graphic prints in many accessories such as pillows, plaids, and even bed covers. 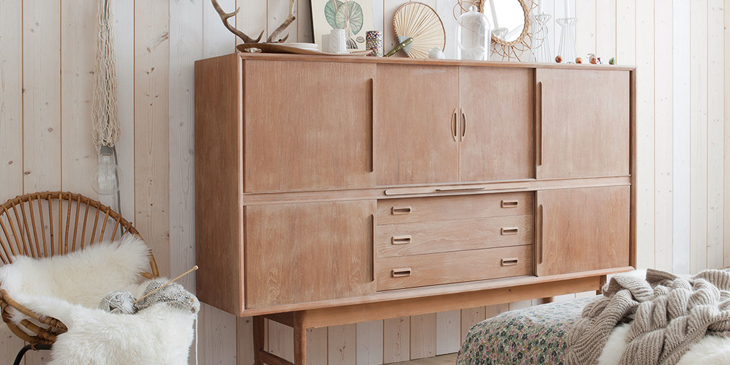 Since you can go all out in the Scandinavian style, feel free to mix and match! A Scandinavian interior is easily combined with the industrial style, because they already overlap in many areas. Both styles make plentiful use of whites, greys and natural materials. The large difference between the two styles, however, is that an industrial interior can very quickly seem dark because it uses darker colours such as black, brown, and grey as well. 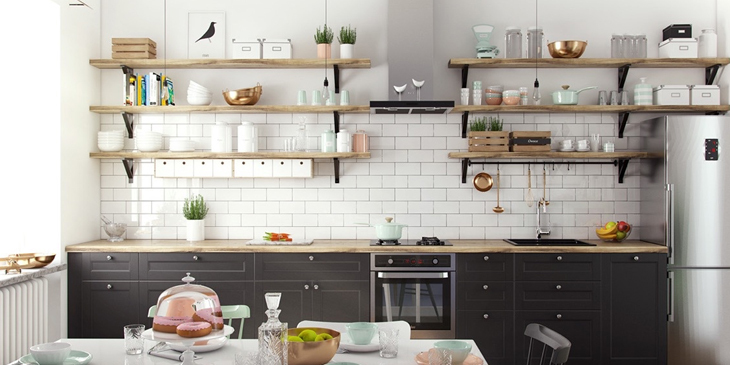 To contrast, the Scandinavian style makes a lot more use of white, pastel colours, and light. Depending on whether you lean towards light or dark, you can choose to go for the industrial style with a Scandinavian touch, or the other way around! 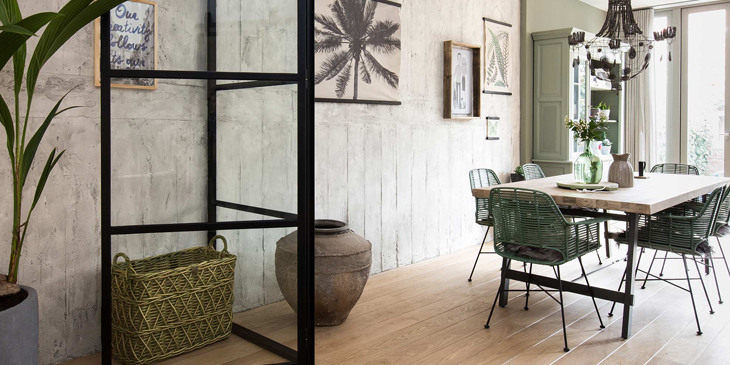 A fairly new interior trend is botanical living, also known as simply botanical or urban jungle. This trend is recognizable by the use of natural materials, eye-catching colours and prints, and many plants and flowers. 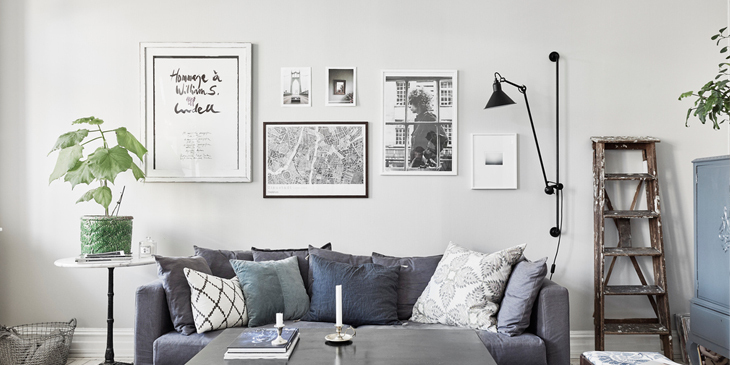 And luckily for you, this trend goes hand in hand with the Scandinavian style! 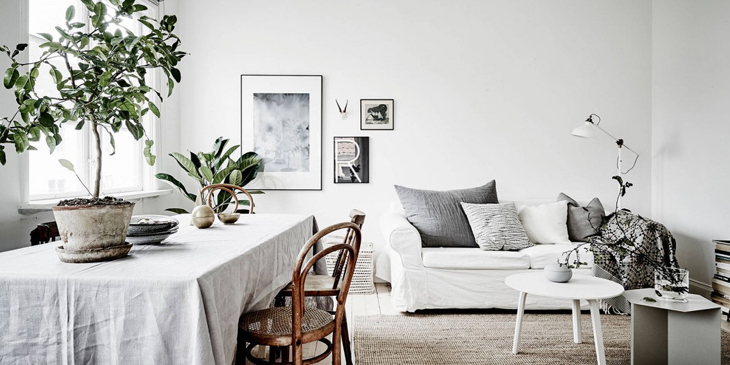 Having many plants and green accessories mixes perfectly with the softer tints of a Scandinavian interior. Because green has so many different tints, it is easy to integrate into your interior without missing a beat. Although the winters in Scandinavian countries are notably light-free, they continue to be fascinated by the use of (day)light. Whether it be candlelight or electrical lamps, light plays a crucial role in the Scandinavian interior. Scandinavian (designer) lamps are marked by the fact that the light can be dimmed at a whim, a soft and minimalist look, and of course the lamps are created using natural materials. Scandinavians love wood! Think, for example, of the traditional wooden Scandinavian houses, as well as the typical wooden furniture that for example the Swedes are famous for. They just love it, especially because their forests are a plentiful source of wood. Preferably the wood is left as untreated as possible, so that it remains rough, authentic, and light of colour. Wood is not exclusive to furniture either, but can also be found in the floor, the ceiling, and the kitchen. The minimalist Scandinavian style is very well suited to the kitchen. The base colour of a Scandinavian kitchen’s walls and ceiling is white. This is achieved, for example, by using white tiles to cover the walls. Most of the floors are made of wood. For the best effect, you will want to have a wooden plank floor in a neutral wood colour, or even one that has been painted white. If you want to spruce up the floor a little, you can choose to add a lovely rug. Cosy, authentic, and lovely!